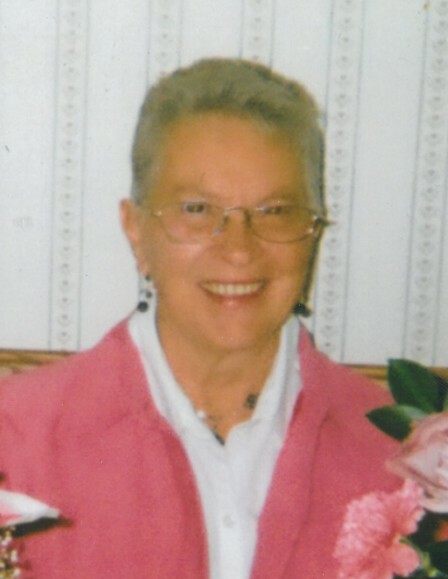 Beverly “Bev” J. Roggow, age 86, of Carlos, passed away on Saturday, March 30, 2019, at Galeon Senior Living in Osakis under the care of Hospice of Douglas County. A memorial service will be held at 11 a.m., Friday, April 5, 2019, at Living Waters Church in Alexandria with Pastor Nick Grey officiating. Music is provided by pianist, Mary Anderson and vocalists, Reba Grey, Jody Englund, Doug and Deb Holmgren. Visitation is 5-7 p.m., Thursday, at Lind Family Funeral Home in Alexandria and will continue one hour prior to the service. Beverly “Bev” Jeanne Carr was born October 5, 1932, in Mason City, Iowa, to Virgil and Marjorie (Robinson) Carr. She graduated from Mason City High School in 1950 where she excelled in music and became an accomplished pianist. Bev married Mervin Roggow on April 22, 1951, in Mason City, IA. They then lived on a farm in Spencer, IA, until Merv was drafted into the Army in 1953 at Fort Sill, OK, where he was stationed for two years. In 1961, they moved to Eagle Bend and in 1965 moved to Alexandria. Bev worked at McCabe’s Camera and Gift store for several years. She was on the committee for Christian Women’s Club for many years and was president for two years. She was a member of Living Waters Assembly of God Church in Alexandria, where she was active in women’s ministries and music. She enjoyed entertaining in their home, especially walleye dinners after Merv returned from Canadian fishing trips. She also enjoyed crocheting afghans for their children, nieces, nephews and friends for wedding gifts. Bev loved to travel and plan trips and had traveled to Europe, Africa, South America and the Caribbean. She and Merv spent many winters in Mesa, Arizona, and one of her personal accomplishments was hiking in and out of the Grand Canyon. She was preceded in death by her parents; infant daughter, Kayleen; infant son, Rodney Scott; granddaughter, Amy Roggow; and brother, Marvin Carr. Bev is survived by her husband of nearly 68 years, Mervin Roggow, of Carlos; two sons, Richard Allen (Sue) Roggow of Eden Prairie and Rodney Mark (Karen) Roggow of Jackson, MO; three grandchildren, Ryan Roggow of St. Louis, MO, Rachel (Jeff) Prost of St. Louis, MO and Kate Arnzen of Cape Girardeau, MO; great-granddaughter, Lea Arnzen; and soon-to-be-born great-grandson, Lucas Prost; brother, William (Pat) Carr, of Loveland, CO; and several nieces and nephews. Bev’s family expressed their heartfelt gratitude to all the staff members of Hospice of Douglas County and Osakis Community Memorial Home where she most recently resided. Memorials preferred to Hospice of Douglas County and Galeon Senior Living in Osakis.